What a great gift idea for the Venus Flytrap lover! 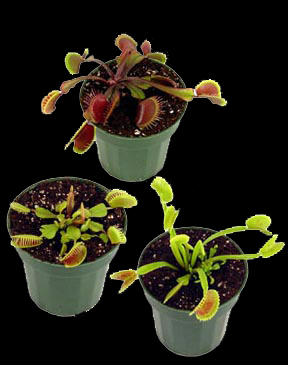 This set gives you one small potted plant of each of three different varieties of Venus Flytraps. Up to a $27.00 value! Plant selection is our choice, and is based on availability.